People carry little gadgets with them and put almost all their information or life events in them. These new smartphones try to provide the best security possible and Samsung is one of them. There are times when you accidentally forget your phone somewhere and somebody else take it. Also, these smartphones are not so durable and sometimes, you break it in a way that it can’t be recovered. The first thing that goes off in such case is the screen. People then wonder how they can do Samsung data recovery in broken screen. In this page, we will introduce Tenorshare Android Data Recovery and discuss some of the cases for how to use this software to recover Samsung data. Tenorshare Android Data Recovery is a specifically designed tool to recover deleted or lost files from Samsung phones and tablets, such as Samsung Galaxy S8, S7, S6, S5, Galaxy Note 8, Note 7, Note 6, Note 5, Galaxy Core 2, Galaxy Grand, Galaxy Tab 4/Tab S/Tab 3, etc. With it, retrieving lost files (including photos, contacts, videos, messages, audios, documents, call history and other files) becomes easy. Delete important files by mistake. USB disconnected accidentally when you are transferring data. Lost data for formatting or restoring to factory settings. OS error for software update. Sudden power off when you are using Samsung phone or tablet. PC is attacked by virus when your Samsung device connects with it. To recover all the data for that you didn’t make any backup in your Samsung smartphone like Galaxy S9, Galaxy S8, Galaxy Note 8 and more, you just need to follow these simple steps. 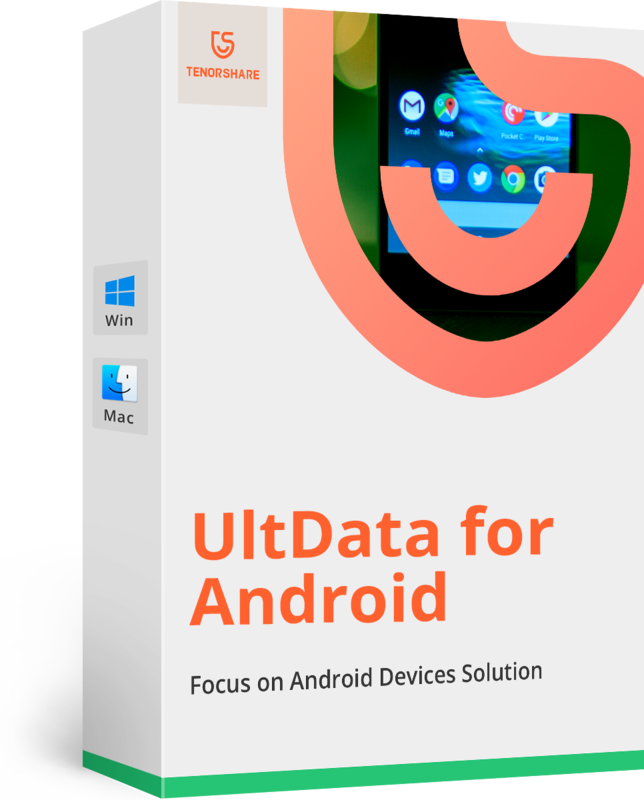 Launch Tenorshare Android Data Recovery, you will see its main interface on which connect Samsung phones or tablets with PC/Mac are available. Now connect your Samsung phone or tablet to your computer via USB cable. Note: Once your Samsung device connects with PC/Mac, please don't disconnect during the recovery process, otherwise, the recovery will fail. When your Samsung device is connected with computer and Android Data Recovery software for the first time, you need to enable USB debugging and turn on USB storage. This step varies from Android versions of your Samsung device. If you have no idea about it, just following the instruction on the software screen. After the debugging settings, your device will pop up "Allow USB debugging" screen, tap "OK" and continue to the next step. After allowing USB debugging, you can start scanning and select the items that you want to restore from Samsung phont or tablet. Then the software will scan the data on your Samsung device automatically. During this process, you can pause or stop the scanning. After a short time, all categories in your phone or tablet will be displayed in the left section. You can click on the categories to preview the content of them. All items of the category that you choose will be listed in the right part of the interface. Once you tap on the "Recover" button, a window will pop out to save your recovered items. You are free to change the destination folder and these items' format. That's all for the guide on how to recover lost data from Samsung phones/tablets with Tenorshare Android Data Recovery. Samsung is one the best smartphone brand. It releases a new model of it every year. Smartphones are setting the world on a very high pace and people are starting to rely on these gadgets so much. People almost store all their information in these gadgets and every year they try to switch to a latest gadget. While switching, they want to keep their previous data to be with them. For such, Tenorshare tries to provide the best Samsung data recovery tool - Android Data Recovery for you.